Tatiana Maslany got so much attention for her amazing work in Orphan Black. The series Orphan Black received rave reviews. Orphan Black looks and smells like success and money. How you gonna jump on the Orphan Black bandwagon? 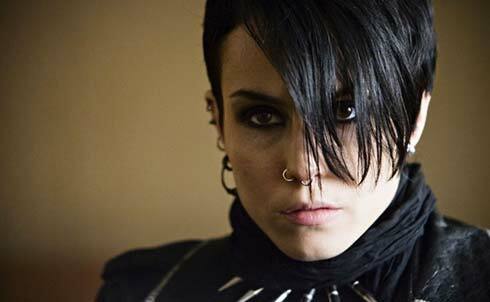 Noomi Rapace is set to play 7 different sisters in What Happened to Monday? The premise of this dystopian sci fi future world is that overpopulation has limited the number of children allowed per family to one. There are the rules, and then there are 7 baby girls. Seems we have septuplets on our hands. They are hidden away and only allowed to be seen one at a time. The What Happened to Monday? director is Tommy Wirkola of Hansel and Gretel. Rapace played Lisbeth Salander in the Millennium series films – the original Swedish versions, not the American one – of The Girl with the Dragon Tattoo , The Girl Who Played with Fire and The Girl Who Kicked the Hornets’ Nest . She has also been in several American productions. There’s more good news for the 7 sisters in What Happened to Monday? They were originally supposed to be 7 brothers, and Wirkola decided Rapace was perfect for the part. So, maybe they are cloning the clones, but they have a good star and what could be a good idea. Noomi Rapace image ©Iker Arbildi.